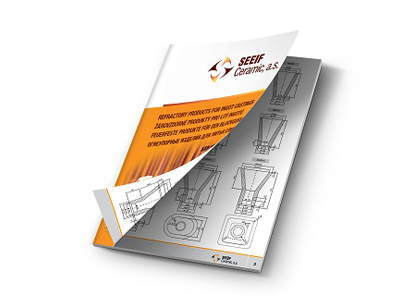 Steel Industry – SEEIF Ceramic, a.s.
for ceramic gating systems assembly. We offer different types of kingbricks with one or more outlets. 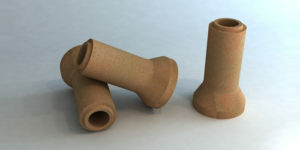 In variety of sizes with different diameters and quality. We produce through channels with different sizes, diametres and quality. We produce end channels with different sizes, diametres and quality. We manufacture a complete range of refractory shapes for gating systems assembly in steel mills, standardized refractory bricks and other accessories – refractory masses, dusting powders for slide gate ladles, insulating backfilling. We represent Indian manufacturer IFGL Refractories Ltd. in a distribution of isostatically pressured monoblock stoppers, ladle outlet and ladle closing systems. 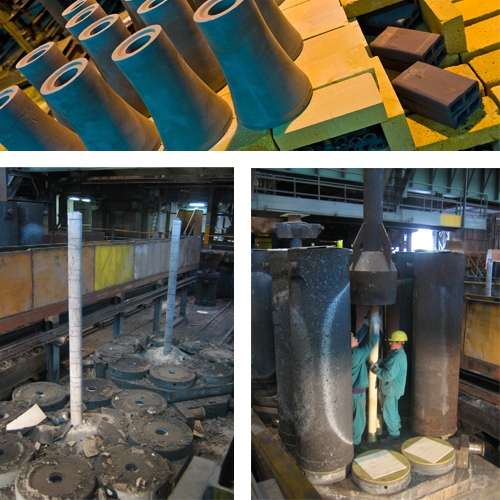 We offer exothermic insulation tiles and powders for treatment of ingots from Italian manufacturer Jodovit S.R.L. We offer full advice on the matter. For more information please contact our dealers. 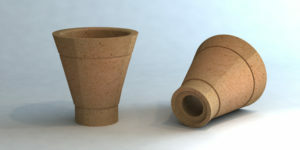 Different types of funnels with various diameters, shapes and sizes, with possible banding. Pipes in various diameters and lengths. 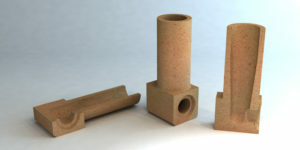 Various types of pipes for the centre brick connection. Manually or mechanically formed kingbricks for dividing the casting stream with one or more outlet openings, in various diameters and sizes. Mechanically pressed “through channels“ in various diameters and lengths. The shape of the channels depends on the casting plate. We make “through channels“, with one or more outlet openings on different sides of the channel. We make wide sortiment of end channels. For outflow steel casting, you can use our special product called “kokilnik“, formed from a single piece. 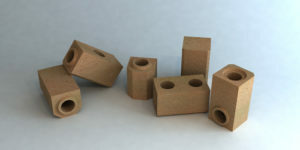 To connect the inlet to the ingot mold, we manufacture several types and various sizes of ingot risers. 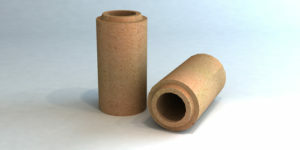 Refractory products for ingot teeming. We manufacture a complete range of refractory shapes for bottom ingot teeming – funnels, pipes, centre bricks, through and end channels, etc. Refractory shapes with increased resistance to wear, refractoriness and strength are designed for high quality castings and used mainly as bottom pouring assembly for the ingot gating system. 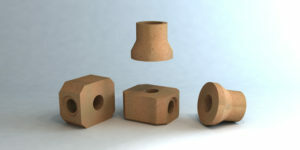 Is produced a range of gating holloware – funnels, sleeves, centre bricks, runners and other shapes. There are more grades formed from a clay with the Al2O3 content of 55-88 % based on andaluzite, bauxite, mullite or corundum. 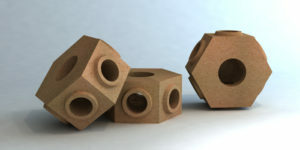 shapes and sizes, with possible banding. and various sizes of ingot mouthpieces. for the connection of centre bricks. SEEIF Ceramic, a.s. introduced a robotic workstation in the production plant 3 Keravit. This facility uses latest technologies to improve the quality of molded products. Robotic workstation operates in a automatic mode and monitors the output pressure and the weight of our products. We use robot Hyundai Hi5. This robot takes bricks and store them directly on the kiln car. If you want, you can watch our video.